This Fun House is a Bounce house classic. This Simplistic design allows for maximum fun for all ages. 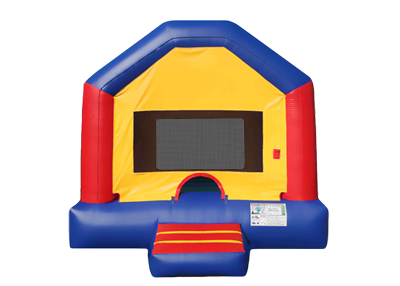 This inflatable has a safety ramp for the entrance, a solid top and bright vibrant colors that will help make your party shine! The solid roof keeps the unit cool during the summer and has a breathable sides so parents cna watch their little kids bounce and play ALL DAY!